Riding a bicycle in traffic while wearing earbuds or headphones isn't exactly safe, and in some countries is even illegal. So how are you supposed to keep up with your playlists, your podcasts, or the directions from your favorite navigation app as you pedal around town? Popping your iPhone upside down in a shirt pocket (so the speaker points up at your head) will work in a pinch, but there are better ways on show at the IFA trade show in Berlin this week. 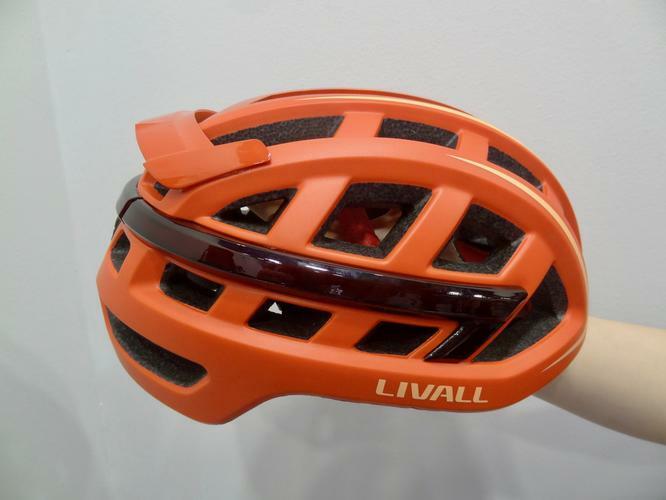 Chinese manufacturer Livall has a couple of ways for cyclists to listen in safety. Its racing style BH50 and street style BH51 cycle helmets have built-in Bluetooth headsets with speakers just above the wearer's ears, close enough to hear them without blocking out ambient sound. Twin microphones, one on each side, make phone conversations possible even while riding. 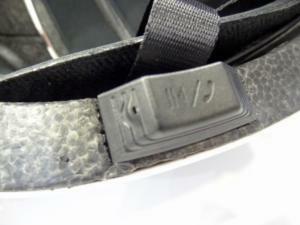 The audio controls in Livall's BH51 Bluetooth bicycle helmet sit just above the ear, alongside the microphone. 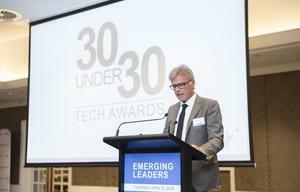 The battery will last for six to eight hours of listening, according to Livall CEO Brian Zheng. 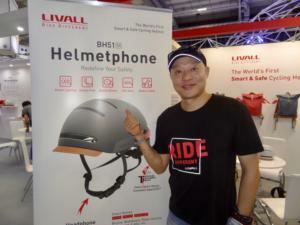 Livall's CEO Brian Zheng shows off the company's BH51 Bluetooth bicycle helmet at IFA 2017 in Berlin. If you're going to put a battery and a Bluetooth interface into a helmet, though, why stop at audio? Livall also included a set of red lights around the rear of the helmet that turn on when it gets dark. Livall's BH51 Bluetooth bicycle helmet lights up when it gets dark. 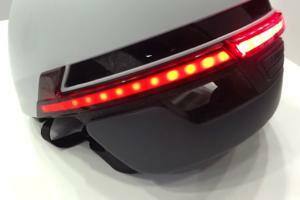 The lights can even serve as turn indicators, pulsing from one side of the helmet to the other in response to a signal from the app or an optional handlebar-mounted remote control. Livall's BH51 Bluetooth bicycle helmet contains remotely controllable turn indicators. The helmets also include a crash detector that can tell Livall's smartphone app to text friends with your last known position. A 90-second countdown gives you a chance to cancel the alert if you drop the helmet accidentally. In Europe, Livall is planning to sell the BH51 for around €160 (US$190). JBL's Soundgear won't protect your head, but it won't muss your hair either. 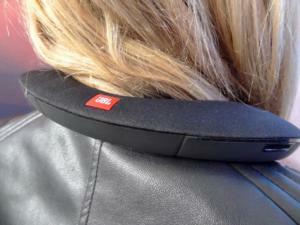 The JBL Soundgear is designed to be worn around the neck, so it doesn't block out ambient sound. It's a horseshoe-shaped Bluetooth stereo speaker that sits around your neck. The left-hand end has discreet buttons for play/pause and volume control, while the right has buttons for power and Bluetooth pairing. There's a USB micro socket for recharging the internal battery, which will run for about six hours, and a microphone so you can even use it to take phone calls. 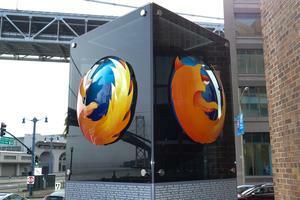 The sound can be turned up uncomfortably loud for the wearer, while remaining relatively inoffensive for bystanders. 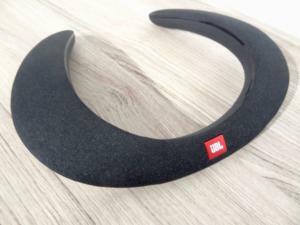 The JBL Soundgear wearable Bluetooth speaker has discreet volume and power buttons at the tips of its horseshoe shape. It also has a microphone for making phone calls, and a USB micro charging port. It's not just for cyclists: JBL is also pitching it as a way for office workers to listen to music without shutting out or disturbing their colleagues, and for PC gamers to remain aware of their surroundings, ensuring they don't miss that all-important call of "dinner!" The Soundgear will go on sale in Europe in the next month or so for around €199 (US$240). The price includes a Bluetooth audio adapter with S/PDIF and 3.5mm jack inputs.